22.12.2011. The Center for work with street children held a Christmas party, in which the main role was played by the children. They surprised the audience with a Christmas play, many songs and poems. Finally, they were deservingly rewarded with gifts from Santa Claus. 16-17.12.2011. 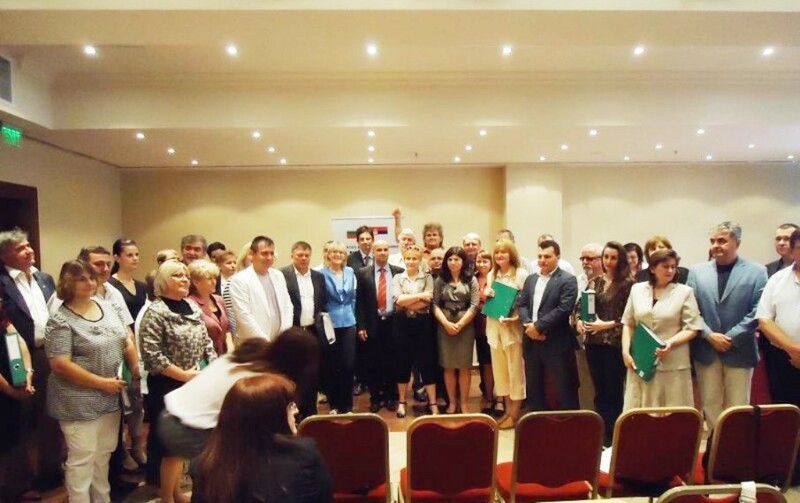 The second thematic Forum of Project RISE was held in Nis, Republic of Serbia. This time the topic of the meeting was "Best practices in social services for adults". It was attended by representatives of social providers on both sides of the Bulgarian-Serbian border. A press conference for the local media was held, too. 02-03.12.2011. The first thematic forum of project RISE entitled "Best practices in social services for children" was held in Vidin. It was attended by experts from the Bulgarian-Serbian border area who work in various social institutions and community social services providers. The meeting ended with a press conference for the local media. 01.12.2011. On the World day to fight with AIDS, Free Youth Centre was included in the local campaign together with the Committee to fight with the virus. FYC Volunteers attached red ribbons and posters. They consulted and motivated their peers to test they HIV - status in the local laboratory. The basketball game "All Stars" dedicated to the cause of the campaign was organised again. The volunteers played a thematic scene under the campaign slogan "Condomise yourself" in one of the game pauses. 21.09. - 28.09.2011. Volunteers which will work under Objective 7 of the Programme "Prevention and Control of HIV / AIDS" took part in the Autumn school for advanced work through the method 'peer education', which took place at national training centre of Bulgarian Red Cross - Dolni Lozen. 30.08.2011. 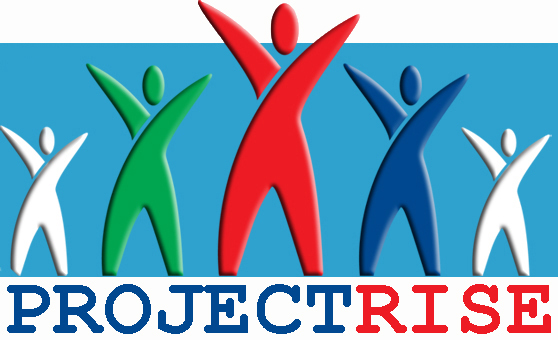 First project RISE partner meeting took place in Nis, Republic of Serbia between representatives of Free Youth Centre and the hosting association for development of children and youth "Open Club" in accordance with the project start. The meeting closed with a local media press-conference. 17.08.2011. Now you have the opportunity to get more information about Free Youth Centre and ask your questions on our Facebook page. 01.08.2011.Тhe official ceremony for awarding of the subsidy contracts under the Bulgaria-Serbia IPA Cross-border Programme took place in the 1st of August 2011 in Sofia (Dedeman Princes hotel, “Europe” conference hall). The Free Youth Centre was one of the 44th organizations, awarded with a grant for its project "RISE - Regional Integration with a Social Effect". Project partner is Open Club - Nis, R.Serbia. 09.06.2011. With training for the team started the implementation of Component 5 "Improvement of TB case detection and treatment success among Roma population". The Free Youth Centre was chosen for a local partner of Ministry of Health, who is responsible for execution of the component in Vidin. The programme is financing by Global Fund to Fight AIDS, Tuberculoses and Malaria. 30.05.2011. The project "Enterprise for Integration" finished with a press conference for the media. According to evaluation of the partners, the project was successful. The main results are a new social enterprise, employment and prepared local specialists in the sphere of social economy. 29.05.2011. The FYC implemented one day training for providers of social services in planning of the projects in sphere of social economy, based on the model end experience from "Enterprise for Integration" project. In the training participated 15 representatives of Municipal administrations and NGOs from the Vidin region. .
11-15.05.2011. The FYC representatives participated in a Youth in Action Programme contact making seminar, which took place in Lisbon, Portugal. Except from Bulgaria, other participating working with youth organizations were from Latvia, Lithuania, Estonia, Sweden, Cyprus, Italy and from hosting country Portugal. 27.04.2011. In Vidin took place a meeting of Roma youth and local employers under the project "Enterprise for Integration". The organizer of the event was Business Centre Ltd. in cooperation with Labor Office - Vidin. The aim of the meeting was encouraging of employment of Roma young people. 01.03.2011. "Baba Marta"s coming was celebrated whit a short play in the Centre for Work with Street Children in Vidin. 21.02.2011. Sessions of individual and group supervisions of the project team of "Enterprise for Integration" project and other specialists in method of Meditative Intervening took place in Vidin. The supervisor was Alexander Kanchelov, MD - the leading specialist in this field in Bulgaria. Gloria Yoshkova, a student from the "Ekzarh Antim I" high school, started her voluntary service in Free Youth Centre. The volunteer will support the work of the team with children in Centre for Work with Street Children (a structure of FYC).